Learn the tricks of the turf! Be one of 100 kids to spend a half day at a special Roughnecks training camp February 5, 2017. Ladies! Can you name the fastest game on two feet that uses terms like dinger, yard sale, elevator, turf monster and pinwheel? 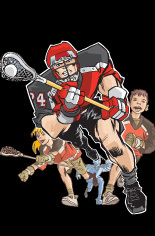 It's lacrosse, and you're invited to learn all about our national sport! 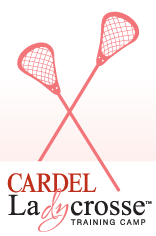 Cardel and the Calgary Roughnecks are once again teaming up for Ladycrosse. 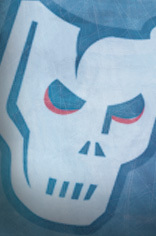 If you're on one of the 4 teams randomly selected, you will Hang with the Hitmen at National Sports Development for a once-in-a-lifetime chance to pick up some pointers from the pros. Meet the entire Hitmen team face-to-face as they take you through drills and strategies in a dry land training camp designed just for minor hockey teams, plus get autographs and win great prizes! Hang with the Hitmen event date is Monday, November 28 for 2016 season. 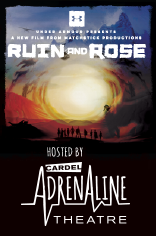 Cardel Foundations is excited to kick off ski season with a special screening of Ruin to Rose, by acclaimed writer/director Ben Sturgulewski and the award-winning team at Matchstick Productions. Their two decades of filmmaking expertise delivers an epic creative vision brought to life by the talents of the world’s top skiers. Winter landscapes across the planet contrast seamlessly with a thoroughly-crafted story of environmental apocalypse, shot entirely within the otherworldly expanses of Africa’s Skeleton Coast. Unlike anything seen before, the dreamlike setting of this film sparks the imagination of not only action sports enthusiasts, but anyone with a beating heart. Doors open 60 minutes before each screening for an exclusive Gear & Adventure Expo featuring new gear for this season screenings take place at the Cardel Theatre in Quarry Park. 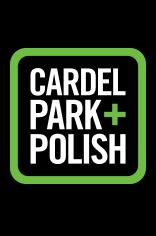 Cardel Park & Polish (formerly Quarry Park & Polish) is back for another high-revving day of cool cars. Gear up for this free, popular auto show for all ages, benefitting MADD. 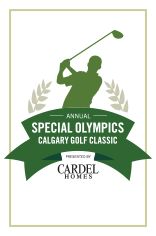 Tee off for a day of fun-filled smiles at the 17th Annual Special Olympics Calgary Golf Classic, presented by Cardel Homes. Copyright © 2019 Cardel Homes. All rights reserved.